The fact that at some times of peak demand there will be little or no wind or solar power doesn’t mean it provides no benefit – you simply need to “backup” the wind / solar with a “dispatchable” plant, i.e. currently a conventional plant. If you are running on wind “some of the time” you are displacing a conventional plant and saving GHG emissions, even if “other times” you are running with conventional power. Interesting since generally Science of Doom is very good at math and at reality. Let’s take a look at an analogy. You buy, with very generous government subsidies, a $10,000 bicycle (costs you $500 after the generous donation of taxpayers). You ride the bicycle to work 1 day per week to “save the environment from the evil greenhouse gases” that your car generates. We will ignore the idea of buying an electric car, since without that 100% renewable fantasy coming true, you’re still using fossil fuels. Once purchased, the bike is “fossil free” much the same as the claim for wind. Now, numbers. You drive 5 miles round trip to work, 20 miles of it using your car, 5 miles on the bicycle. That’s a twenty percent savings. Does anyone know of a request from the IPCC or governments to save 20% on energy and the planet will be saved? It’s always 30 percent or more. If 30% were the minimum, then the 20% would actually be ineffective. Remember, too, this only saves output from electrical generation, not automobiles, trucks, and construction equipment. In reality, the contributions to savings is probably less than 5%. SoD does touch on land usage, etc, though again, I’m not sure how realistic the numbers are. 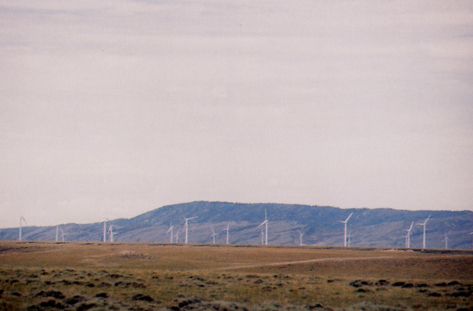 Wind turbines require huge tracts of land for a large plant. It’s not practical to put them in towns—too great a danger of ice throw, blades coming loose and falling, etc. 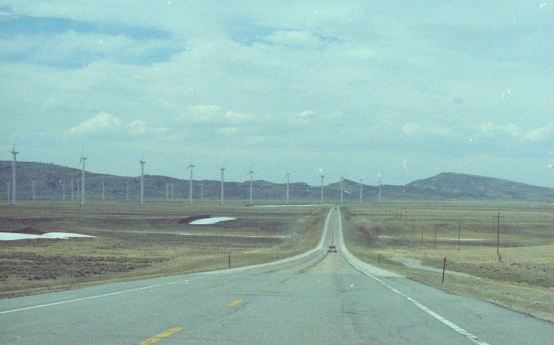 Every turbine takes at least a 300 foot radius of land out of farming for the same reasons. In the past, farmer could plow right up to the turbine. However, that wonderful, benevolent energy has a rather mean streak and could kill if something went wrong. I doubt SoD has any idea what 500 turbines in one area do to the landscape, nor perhaps does SoD care. This is science, not social policy, right? The original article came from The Conversation and was written by a professor of environmental studies who does work in sustainable development and renewable energy. Again, this source presupposes that it is self-evident renewables are a good thing. When you start with the premise that something is self-evidently true, everything from that point on is based on faulty premise (very few things are self-evident and this is not one of them). He also seems delighted that people who work in coal mines will be unemployed because it will further his dream of 100% renewables. Of course, he won’t lose his high-paying job, so who cares, right? Of course, the workers may be able to move to a third world country and mine copper, tin, iron ore, lithium or some other component needs of wind turbine manufacturing and maintainance. But not in his country, of course. In the end, it seems thousands of acres of land for turbines, mining, manufacturing and installation is acceptable to cut a few percentage points off the carbon footprint of a country. That’s science divorcing math. Fortunately, science has meet fantasy land and will live happily everafter. Humans will not fare so well under this new arrangement.